Howdy y'all! 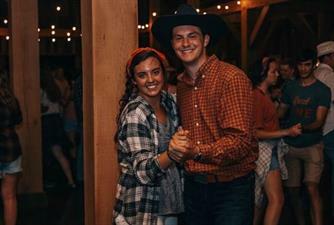 It's time for another barn dance at Sycamore Creek Family Ranch! We'll have a little dance instruction and do some Texas two-step, swing dancin', line dancin', and more. We'll be serving our signature BBQ sandwiches, chips, s'mores kits, and non-alcoholic drinks.